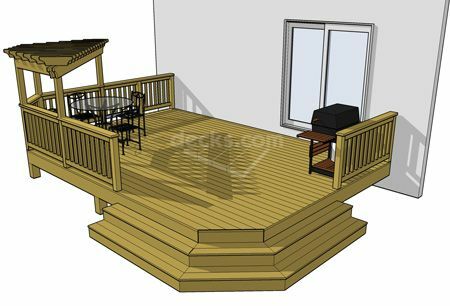 This 20' x 14' deck features clipped corners, an overhead pergola, and a cascading staircase. 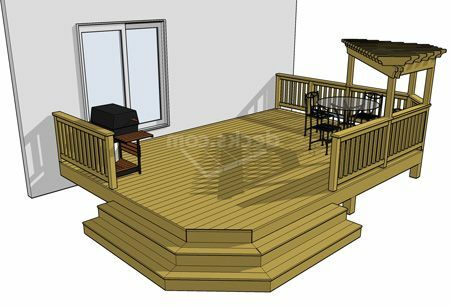 The pergola provides shade and an element of enclosure over one corner of the deck. Vines may be trained to cover the arbor for a vegatative cover that offers an interesting diffused light. 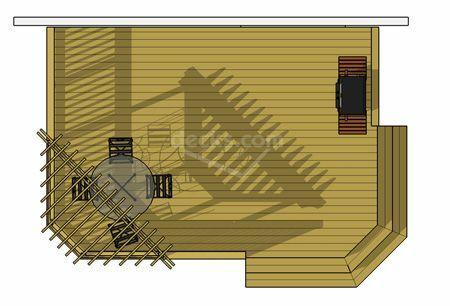 A grilling area is positioned along a short rail beside the house.